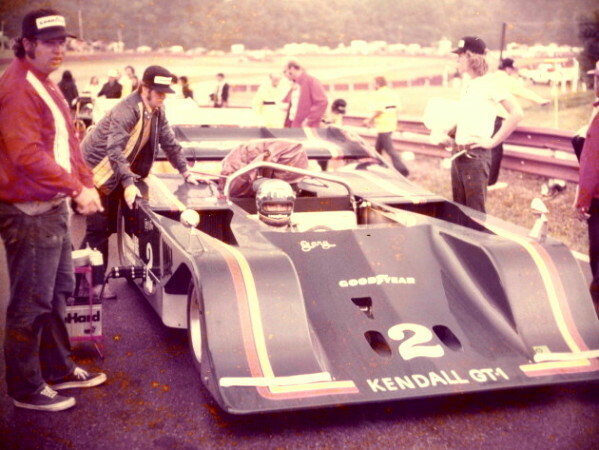 Gerald "Jerry" Tune, former fabricator/mechanic on the "Sting" CanAm race car contacted your webmaster recently and contributed these photos to the website. From Jerry: "John Collins and I built the car in Gary Wilson's shop in Costa Mesa, California. It was an all new chassis design but used McLaren suspension parts. 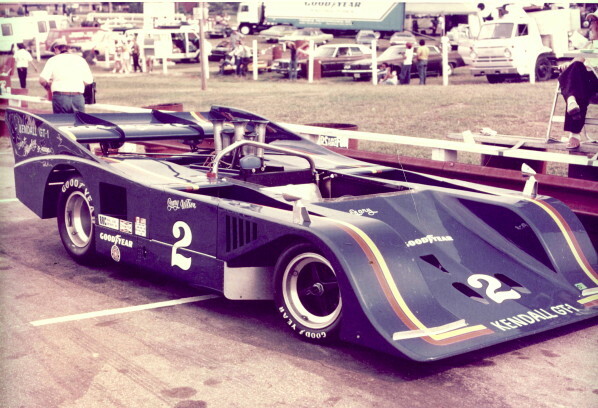 The body was a Porsche 917/30 inspired design with terrific downforce." 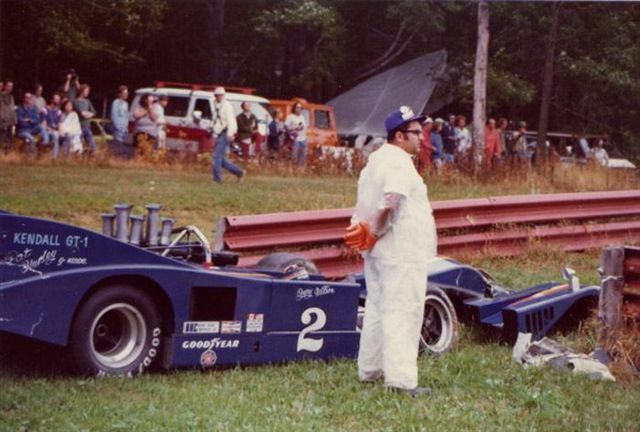 "The car's first outing was at Mid-Ohio and it crashed in the rain during qualifying. We made repairs and took the car to Road America and ended up finishing fourth, I think, in the Road America race. After that John and I drove non-stop back to California and the team was virtually broke so all racing ended and we went our separate ways." "Gary Wilson called me a few weeks later and asked if I would crew chief the car for a race at Sears Point in northern California. No pay -- just expenses! As far as I know this was the last race for the "Sting" and we DNF'd with half-shaft failure. "Thank you for your effort in locating John Collins. His son emailed me and gave me John's phone number. We talked for over an hour about old racing memories and the glory days of CanAm racing. I was amazed to learn that John is still working on and restoring old CanAm cars. It's been thirty years since we built the "Sting GW-1" and before that we worked on lots of Lolas and McLarens. John Collins is one of the best race car builders/mechanics/fabricators that I have had the honor to work with." 2-21-05 Robert Kellerman's Model of the "Sting"